This proposed lesson plan deals with one of the biggest social contemporary problems. In particular it examines the negative consequences on teenagers taking drugs and it highlights the concept of peer pressure. Peer pressure is the idea that young people take drugs or drink alcohol because of pressure from other people of their age. The main idea of the lesson is to take a stand against drugs. The lesson focuses on students’ interaction more than teacher – student interaction and promotes experiential learning skills. Pair and group feedback techniques are implemented and students experience drama techniques to simulate peer pressure on taking drugs. Students are asked to conduct a small case research project and report their data findings in class.The lesson has been conducted during the pilot implementation of CLIL (Content language integrated learning) in our school. The first phase raises students' awareness about drugs through scaffolding activities. 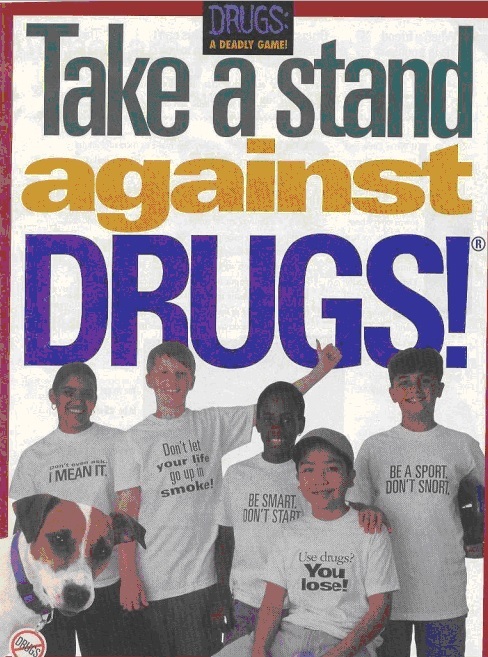 During the second phase of the proposed lesson students read a short article on how to take a stand against drugs. The third phase examines steps that teenagers should follow to avoid drugs and how to give advice to teenagers by role playing two different drama scenarios. As a summative assessment students conduct a small scale research project and they present their findings to the class. It has been documented by health education research studies that there has been a major growth in teenagers taking drugs. This proposed lesson plan reviews the reasons of taking drugs, the negative impact on teenagers taking drugs and the steps or tips that they should follow to avoid peer pressure and take a stand against drugs.It raises the awareness of teenagers and proposes the ways teenagers should prevent themselves from taking drugs and participating in anti drug campaigns. Φάση 3: Giving advice to teenagers. Learners will raise their awareness about drugs and the negative impact of drugs on teenagers. Learners will learn how to take a stand against drugs and how to avoid peer pressure. Learners can use the language structures of giving advice . Learners will develop cooperative and experiential skills. Learners will learn how to conduct a small scale research project. Pictures, video , article and drama scenario can be found on Google images, Youtube and search engines. Article adapted from http://www.webmd.com/parenting/teen-abuse-cough-medicine-9/teens-take-stand-drugs , Drama scenario adapted from http://www.discoveryeducation.com/teachers/free-lesson-plans/cycle-of-addiction.cfm and video adapted from https://www.youtube.com/watch?v=IrcOVpAKsUg . Το σενάριο «Take a stand against drugs» έχει χαρακτηριστεί ως Βέλτιστο (βαθμολογία 70 μονάδων και άνω) ύστερα από αξιολόγηση που πραγματοποιήθηκε από δύο αξιολογητές βάσει κριτηρίων που ορίστηκαν από το ΔΣ του ΙΕΠ. Δείτε Περισσότερα Σενάρια για "Αγγλική Γλώσσα"